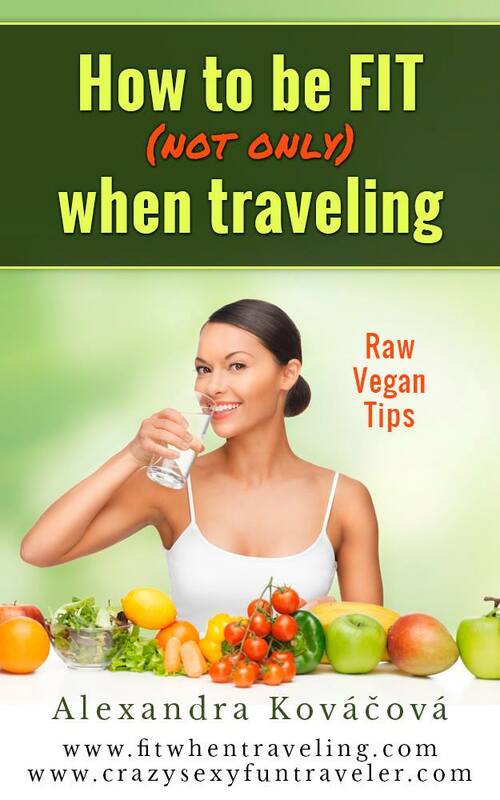 Have had enough earthly pleasure in bustling metropolitan cities and want to travel differently? It’s time to embark on an exciting Tibet tour (Kailash tour) of spiritual rediscovery. Instead of visiting touristy Buddhist sites in Cambodia or Thailand, enjoying the kora around Mt. Kailash, the holiest mountain in Tibet, would bring you ultimate divine experience in your lifetime. Tibetan Pilgrims are having kora along holy Mt.Kailash. Kora basically refers to religious circling or pilgrimage. It is often done around Buddhist sites like holy mountains, rivers and Tibetan monasteries. It’s a time-honored tradition observed by people of Buddhism and Bon. Tibetans believe that by doing kora, they can get rid of the sins in the past and present life and spread kindness and blessings to infinite space. Located in Burang County, Ngari Prefecture (with an average altitude of above 4500m) in Western Tibet, Mt. Kailash (6656m) adjoins to India and Nepal as the major peak of Gandise range. The abundant glacial resources make it the source of Ganges, the Indus and Yarlung Tsangpo River. Mt. Kailash is in olive shape piercing up to the sky. Its summit looks just like a white jade crown surrounded with pure leaves of lotus flower. The body of the mountain seems to be piled up with crystal stones. The Wenbao Peak to its east is said to have trace of Shakyamuni. Amid the strings of sacred mountains in Tibet, Mt. Kailash enjoys a supreme position to Tibetans and Hinduists. The holy mountain is widely believed to be a “Treasure Snow Mountain”, the king of the holy mountain In Buddhism, Hinduism, Bobo religion and Jainism. During the grand festivals such as Saga Dawa Festival (15th of April on Tibetan calendar), fervent pilgrims from Tibet, India and Nepal flock to Ngari to do kora around this holy mountain. It is said that going one circle round the holy mountain can wash away all sin in the whole year life. For ordinary tourists, the best time to visit Mt. 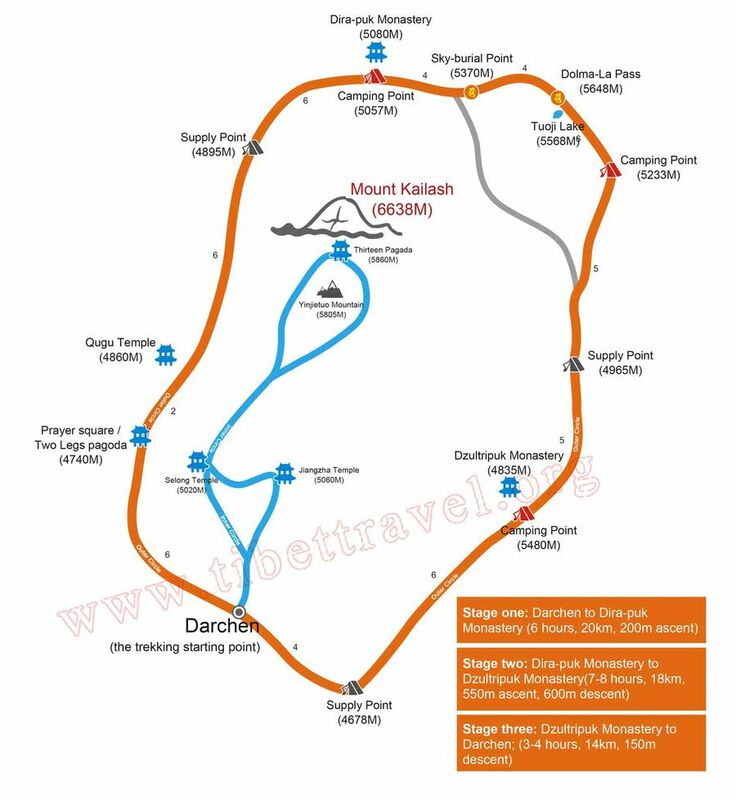 Kailash starts from April to Oct. Particularly, doing kora around Mt. Kailash in the year of horse on Tibetan calendar would be considered exceedingly auspicious and more blessings you will get than any other time. Pious Tibetan pilgrims are doing full-prostration along the kora route. For Tibetans, normally they would practice what is called “full prostration” along the ancient route of pilgrimage around Mt.Kailash. As they do the kora, they would take three steps and knee on the ground, and then stretch out on the stomach. Before standing up, they would touch their heads on the ground. They keep repeating such move throughout the kora as a distinct way to worship their gods. To international tourists, firstly you need to get Tibet Permit, which is a must for Tibet tour. Then, take flight or enjoy the ride on Qinghai-Tibet railway to Lhasa (3658m), the capital of Tibet. Given the high altitude in Tibet, it’s highly recommended to spend a couple of day in Lhasa for the acclimatization to the plateau. By doing so, not only can you cover the iconic monasteries in and around Lhasa but most importantly it can shield you from developing acute altitude sickness. 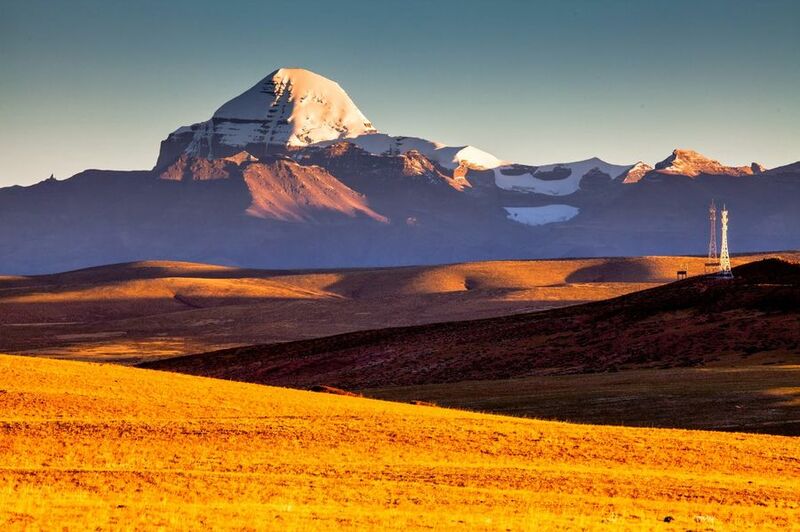 Then, you are on your way to travel from Lhasa to Shigatse, the second largest city in Tibet and Saga and finally reach Manasarovar and Mt.Kailash in Ngari, the highest region in western Tibet. For international tourists who will travel to Tibet from Nepal, you need to get your Tibet group visa in Kathmandu first via a travel agency. And then take international flight from Kathmandu to Lhasa. And if you have more time, it’s highly recommended to travel from Lhasa to historical Gyantse city and then follow the national highway to Shigatse, and Tingri to Everest Base Camp(5200m). After visiting the Mt. Everest (8844.43m) at EBC, you can keep travelling from Tingri to Saga till Manasarovar Lake and holy Mt.Kailash in Ngari. The entire kora involves 52km or 3-day trek in regions with an average altitude of above 4675m. The highest mountain pass (Drolma La Pass ) one is expected to climb is as high as 5630m. 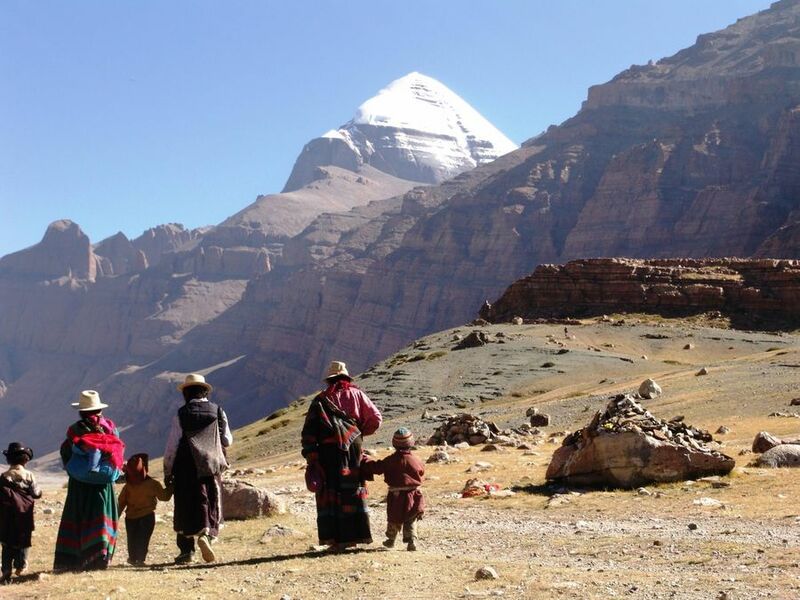 Travelling around the sacred Mt.Kailash, you can walk along with devoted Tibetan pilgrims. The fluttering prayer flags and eye-blinding sunshine, thin air, pious pilgrims enhance the palpable sense of holiness. It is definitely the unparalleled holy pilgrimage you can experience in the world, a true test of body and soul. Due to the remote area and inhospitable environment in Ngari, mostly tourists can only stay in simple guesthouses with basic food. In addition to Tibet Permit, you also need to get Alien’s Travel Permit to travel to Mt.Kailash. Light weight thermal tops, wind-Stopper jacket or pullover(preferably breathable fabric), thick jeans or pants, thermal gloves , Moisture-wicking Underwear (4) (highly recommended), cotton long trousers/pants , sun hat or scarf, sun glasses, sun cream, clapstick (lip balm), sun hat, T-shirts (2) , thick socks) (4), sleeping bags, flash light, thermal water bottle, trekking poles, first-aid medicine (esp. 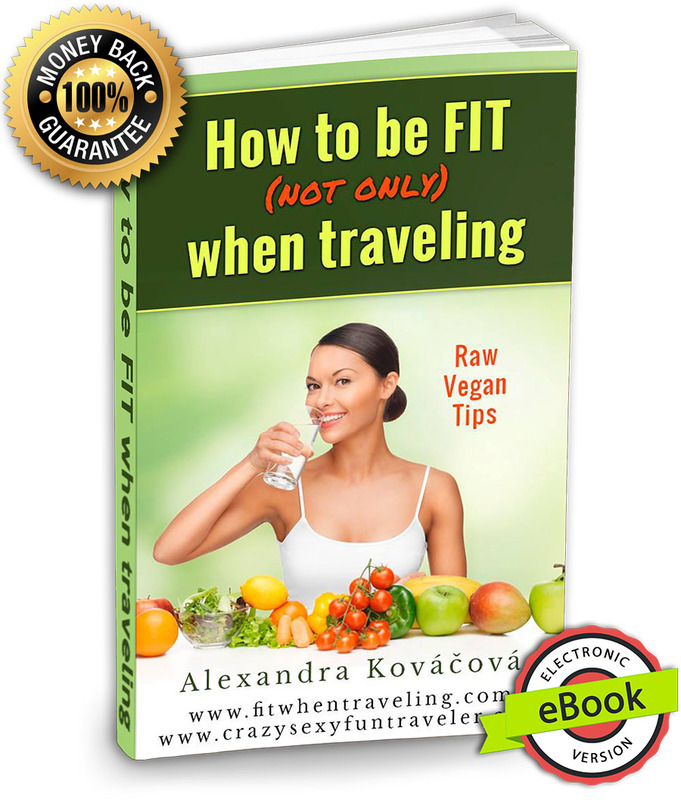 altitude sickness, diarrhea stopper, aspirin), toiletries, calorie-rich snack, instant coffee, guide book, digital camera, etc. You can hire horses or yaks to carry your supply throughout the trek around Mt.Kailash.